Patients suffering from severe lower limb trauma (type III) are faced with the difficult decision of whether to have limb salvage by undergoing an extensive number of reconstructive surgical procedures and long period of immobility or early amputation to resume their rehabilitation programs. Plastic surgeons are faced with a similar dilemma of having to consider the cost of the reconstructive effort and the ultimate quality-of-life when confronted with these two treatment options. A cost-utility analysis by considering direct and indirect costs of treatment and quality-of-life after treatment using a decision analysis model is particularly suited to objectively evaluate these difficult treatment choices. We plan to assess the societal preferences from groups of informed subjects for the treatment of Type III tibial fractures by comparing amputation versus reconstruction. We will consider cost incurred by all members of society (patient, provider, insurer, etc.) to conduct a cost-utility analysis for the two treatments. In this era of cost containment and outcomes movement, a formal economic analysis is important in identifying a dominant treatment strategy to prescribe the most appropriate course of treatment for this complex problem. This economic analysis will address the immediate issues facing the clinical practice of plastic surgery by understanding the cost incurred and quality-of-life for those suffering from severe lower limb trauma. Additionally, we will determine the most optimal treatment algorithm based on modeling of various cost and outcomes variables. The data derived from this project will help patients and plastic surgeons in the critically difficult decision-making process when faced with devastating injuries of the lower limb. 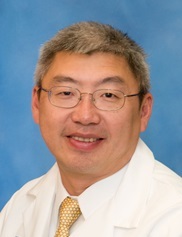 First Place Clinical Research Senior Category - Dr Kevin C. Chung is a hand and upper extremity surgeon who is Professor of Surgery and an Assistant Dean for Faculty Affairs at the University of Michigan Medical School. He is a Director for the American Board of Plastic Surgery and serves as a board member for ASPS/PSEF. He is the Deputy Editor for the Journal of Hand Surgery and is the Section Editor on Outcomes Research for Plastic and Reconstructive Surgery.